At precisely 1:13 pm the call came. How did I know it was the one we’d been waiting for? Only identified as Ontario, Canada, it would have been a unique coincidence for the call to be from anyone other than my son. “I’ve gotta go.” Without missing a beat and disconnecting the incoming call, I was actually able to end my current call, and accept the incoming urgency. “Ola, Chica,” came the upbeat voice from my camper on the other end. I would take it. Would I rather have heard, “Hi Mom or shalom, Ima?” It really didn’t matter. In the five minutes he had on the foreign pay phone, Hunter excitedly told us about the 8-day, 52 km hike with 9 others including the part where one of the counselors pulled him from certain death when he caught his foot in a crevice. Honestly, I am so glad that I hear about this stuff after the fact and am not there viewing the experiences in real time. “I feel like I’ve known these people my entire life,” he shared when asked about acceptance and if he felt ok being open with his fellow campers. As a kid, I didn’t really like being away from home. I was not even really keen on a neighborhood sleepover. I never strayed too far from mommy and even when given the chance to experience camp did not really find it to my liking. The idea of no plumbing and having to do your “business” in the woods definitely is a deal breaker in my world. For Hunter, this is where life begins. He lives all year for the first day of camp. Each year gets better for him. It is his safe place; his nirvana; his Zen garden. I think the camp reunions are planned before the bus rolls into the parking lot signaling the end of yet another amazing summer. These bonds are for life. For Hunter, a kid who needs structure yet the freedom to be independent, spending six weeks in the woods without so much as a watch to indicate a meal time, camp is the perfect place. He has responsibility and rules yet the opportunity to be carefree, explore the finest mother nature has to offer and the ability to open up and really get to know himself and others in a way that would not be possible in another setting. Hearing his voice, I marvel at how grown up he sounds. It’s only been two weeks since he left but somehow it feels as if a lifetime has passed. I’d like to believe that he needed the call as much as I did. Of course, he took the opportunity to ask that we send food (yes they do get fed) — I am guessing what he really wants is junk food, treats, stuff to remind him that he is after all, still a kid. Most days are filled with worry for him about one thing or another. However, today, for now, I can take a breath, let myself relax and know that he is getting what he needs. Right now, my heart is full. PS. 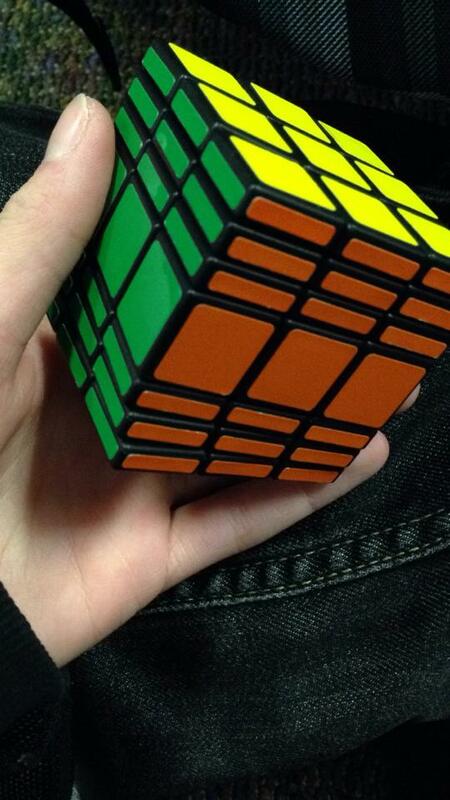 Yes, Hunter solved this Rubik’s cube.